“The Science Museum Group is devoted to the history and contemporary practice of science, medicine, technology, industry and media. With five million visitors each year and an unrivalled collection, it is the most significant group of museums of science and innovation worldwide. Tim has worked in various roles at the Science Museum since 1982. He is author of Films of Fact: a History of Science in Documentary Films and Television (2008). Alison will be supporting community groups use of the Science Museum’s various archives. Alison completed her doctorate in collaboration with Royal Holloway and the Science Museum, London. Entitled, ‘From hidden technology to exhibition showpiece: the journey of 2LO, the BBC’s first radio transmitter, 1922–2012’, her research uncovered findings that fed into the exhibition, “The Voice of the BBC: 90 Years of Public Broadcasting”. Gemma joined the Science Museum team in October 2014, and will be supporting community groups accessing and using the Science Museum’s collections in London, Manchester and Bradford. Gemma completed her doctorate at University College London (UCL) in collaboration with the Science Museum in 2013. Her thesis focused on a collection of 300 preserved tattooed human skins held in storage at the Science Museum archives in South Kensington. Gemma has also previously worked for UCL Museums and Public Engagement Department as team leader of the flagship Researchers in Museums project from February 2012 – September 2013. 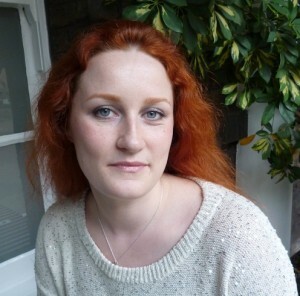 For more information on Gemma’s doctoral work, visit her research blog: www.lifeand6months.com.